I ordered a Simplehuman Steel Frame Dishrack with Wine Glass Holder, Stainless Steel for $79.99 with free shipping but with the coupons and rewards that I had combined for this purchase, the total was only $49.74 from Wayfair.com. I actually liked this product so much that I recommenced it to my sisters and friends. Wayfair has a lot of Rewards Benefits for their customers and this is another reason why I recommend them to my friends and family. With all the clearance and daily discounts that they are offering within their site, they still offer a 3% BACK on every purchase, a Refer friends and get an extra $10 back in Rewards when they make their first purchase of $100 or more and the $5 Reward for the Purchase Review. As a customer myself, I appreciate the Free Shipping if you can already reach for $49. Below is the product that I bought from them and honestly reviewed based on my use of it since last year. After the $5 Rewards Review, I was also entitled to receive one entry to participate in their $500 Rewards Giveaway. I am not sure if they offer a $5 Review to all of their customers. Wayfair may randomly select them. The nice thing about when redeeming the reward is that you are able to redeem it on any product. No restrictions at all as what I’ve experience. 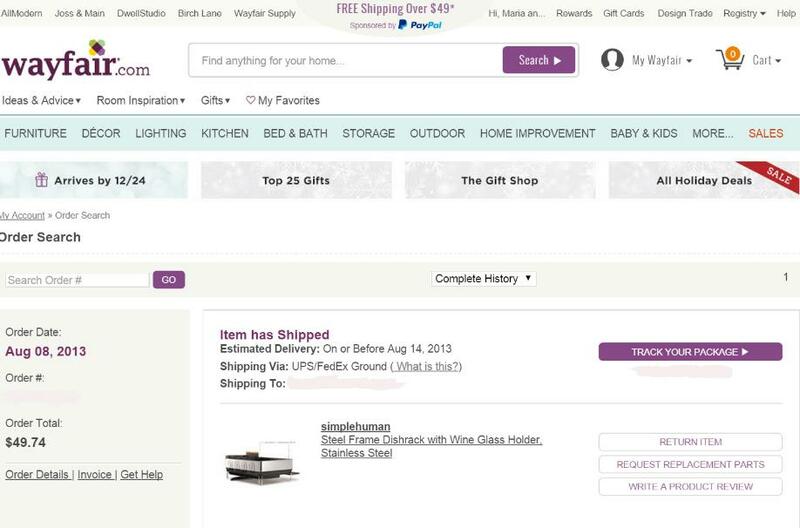 You simply look for the Wayfair Rewards checkbox to apply your rewards at checkout and you already had saved a lot. The perks about being a Wayfair buyer is that sometimes, they just offer certain customers various trial offers or other promotional memberships. This of course, is always subject to their Terms except as otherwise clearly stated in their promotional offers which you’ll also be able to read on their official website. Once you're done with the review, you'll be able to see the big Thank You for helping them build a better online store and service. 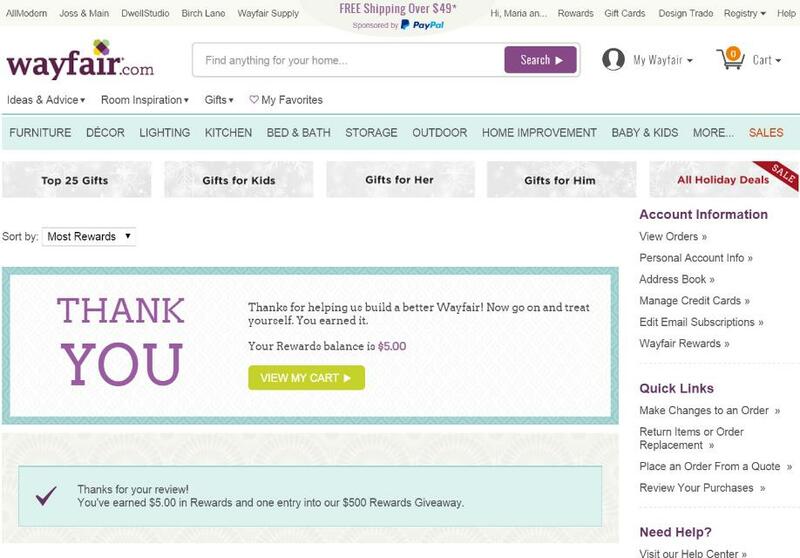 The recent reward was automatically added to my older reward and Wayfair will also give you enough time before the rewards that you have will expire. They may at their own discretion change their Terms, General Conditions of Use and Privacy Notice, or any aspect of the Rewards program, without notice to any of their customers. They could also terminate any of their customer’s membership at their own discretion without prior notice. If ever they may do this, the buyer will still be entitled to get to spend the Wayfair Rewards Dollars that he or she has earned under the program redemption terms.